There’s no doubt that the Echo Park scene is changing, but for many, change is good. 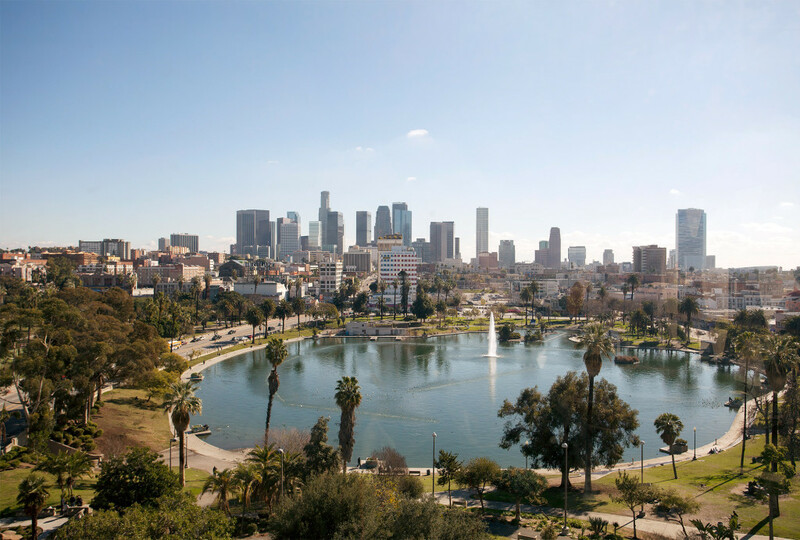 The year 2017 brought increased awareness of Echo Park potential, and those trends continue to carry over and become more accentuated in 2018. The following are Echo Park real estate trends for 2018. According to Trulia, Echo Park real estate saw an increase of $135,000 in median home sales in 2017 (up 19% from last year). Four bedroom homes saw the biggest increase year-over-year, with a 55% increase. In June 2017, one contemporary home in Elysian Heights broke a single-family sales record when it sold for $2.275 million, which was over its asking price. As you’ll read on, it’s easy to understand the hows and whys of rising real estate prices in the area. According to the Los Angeles Times, this decade of real estate development will far surpass the 1990s and even the housing bubble of the 2000s. And Echo Park alone currently has several development projects underways. In March 2017, Champion Real Estate purchased a Sunset Boulevard property where it plans to create BrickWorks, a retail and residential complex. According to their announcement, its 15,000 square feet of retail space “will create a trendy food-court-style collection of the latest eateries and restaurants.” The space will hold up to ten restaurants, and initial renderings were released in August. At the same time, two residential projects along Glendale Boulevard are underway from developer Aragon Properties. This includes an apartment building with 70 units and eight live-work apartments. At five stories tall, it would be one of the tallest in the Echo Park area. The second construction is an 18-home townhouse project that will replace a recently-demolished warehouse. Currently, the median age for homeowners in Echo Park rides the Millennials and Generation X cusp at 35 years old. However, real estate analysts predict that the millennial age group will make up more than 43% of home buyers in 2018. In the first-time home buyers’ market, millenials are currently the dominant market. And in 2018, they’re expected to compete with baby boomers for upmarket properties. Currently, 79% of the Echo Park demographic commutes by car, 18% by public transportation, 2% by foot, and 0% by bike. However, new developments will shift the available options for Echo Park residents. The Echo Park Lake bike share station is making modest headway after an initial pilot program, according to a Metro spokesperson. Though the station isn’t connected to a regular bike-sharing network, the Metro team is happy with the demand it’s seen thus far. During October and November alone, 800 trips had started or ended at the station, and Metro expects those numbers to rise in 2018. Other commute possibilities are underway as well. Current plans for Elon Musk’s high-speed underground transportation could prove highly beneficial for Echo Park. Musks’ Boring Company revealed that the “Loop,” which transports people between San Francisco and Los Angeles at speeds of up to 150 mph, would stop in two Eastside neighborhoods: Echo Park and Silver Lake. According to the Boring Company, “Phase 2 [of the Hyperloop] specifics would be developed in cooperation with Los Angeles County, the City of Los Angeles, city governments in the greater Los Angeles area, and the general public.” While this wouldn’t come into fruition in the year 2018, it’s worth noting, as the production would certainly alter Echo Park real estate demographics. Those considering selling their Echo Park homes may see a major payout, while those thinking ahead of the tech transportation curve could jump in before real estate prices skyrocket. As the Los Angeles population increases, we can expect more people to relocate to Echo Park. From 2016 to 2017, the city hit a record population in the 4 million-mark, and more people relocate to L.A. than any other city in California. Los Angeles continues to position itself as a dominant city, attracting more East Coasters than ever before. A 2017 LinkedIn report found that for every 10,000 Los Angeles profiles, 7.3% were recent New York transplants. Most of those workers were in creative industries, and experts believe it’s because the L.A. economy is more attractive. Some housing experts believe that the L.A. infrastructure may not be able to support the wave of people coming into the city, but Echo Park’s recent real estate developments will only make it easier to transition.